For over 40 years, Entretien Rex ltée, a commercial cleaning and janitorial services company located in Montreal, has become a leader in the field of commercial cleaning. Over the years, the company has managed to build a quality customer base. Entretien Rex ltée proudly provides professional cleaning services to owners of the most prestigious buildings in Montreal, major hotels and several management companies. 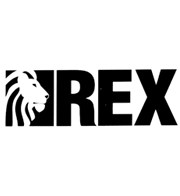 Entretien Rex ltée’s policy is to provide maximum value to our customers by providing them with a superior service at very competitive prices. It is with a team of well trained and dynamic technicians that Entretien Rex ltée makes every effort to achieve its objectives of providing specialized cleaning services, which are personalized and of the highest quality, in the field of maintenance services.